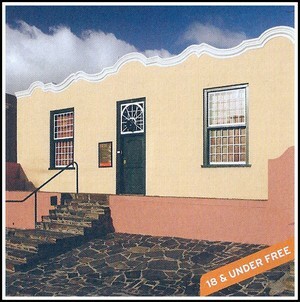 The Bo-Kaap Museum, which is the oldest house in Bo-Kaap, is still in its original form. The facade with its curvilinear Baroque parapet is typical of the early Cape Dutch. There was, of course, a practical reason for the parapet’s existence It was designed to mask the somewhat unsightly flat roof that was waterproofed with a mixture of molasses and whale oil and sloped towards the back to allow a run-off of rainwater With time, the style of Cape Town’s parapets varied according to changing fashion, and the outline of that decorating No.71 Wale Street suggests that the house was built in the mid-1760s. A characteristic feature is the voorstoep (front stoep), which has solid seats at both ends and is still used as a gathering place for family and friends. Another feature is the front stable door (bo-en-onder deur). This example has an additional upper panel, fitted with glass panes, which slides down and rest on the bottom panel of the door, thus providing light in the entrance hall even on a rainy or windy day. The sash windows fitted with teak shutters, are a typical Dutch feature. The rectangular fanlight above the front door admits light into the dark entrance Hall. The land on the eastern slopes of Signal Hill was granted in 1763 to Jan de Waal, a quartermaster in the employ of the Dutch East India Company and later a beadle of the Groote Kerk. A man of considerable means, he built a number of small huurhuisies (houses for letting). 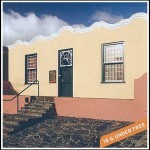 Now a satellite of the South African Cultural History Museum and open to the public since April 1978, the house is furnished to represent the home of a Cape Muslim family in the latter half of the nineteenth century Photographs and pictures depicting the lifestyle of this community are exhibited in the Museum with other items of interest, such as the Cape fish-vendor’s horn. The sound of the the fish horn announced the arrival of a cart selling freshly caught fish. A community centre was added in 1994. It is used for social functions, as an exhibition area and as an educational facility for schools. Altogether, the Bo-Kaap Museum is a fascinating repository of the tradition and culture of a community that has contributed to almost every facet of South African life since its first members arrived at the Cape. Over many years, the condition of a number of houses in the Bo-Kaap deteriorated, and although restoration began in 1950, No.71 Wale Street had to wait until 1970 before the City Engineer took it in hand. The original teak windows, doors and fanlight were renovated, as were the yellowwood floor and ceiling boards, all the replacement fittings being faithful replicas of the originals. Through the Bo-Kaap museum, Izikois committed to telling the story of the area and community, within the context of the country’s diverse social and cultural landscape.